Israel Prison Service (IPS) authorities have stepped up punitive measures against Palestinian prisoners affiliated with the left-wing Popular Front for the Liberation of Palestine (PFLP). 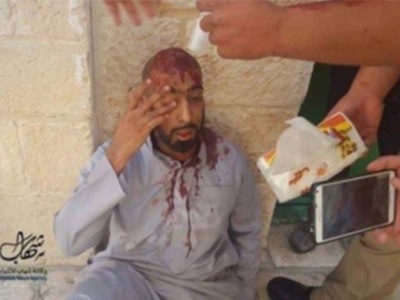 Prisoners have been carrying out hunger strikes in protest of the administrative detention of Bilal Kayid. IPS authorities transferred 17 hunger-striking prisoners from Megiddo prison to Jalameh prison and other Israeli prisons in the south, while placing PFLP leaders, Wael Jaghoub and Salah Ali, in isolation “in an attempt to repress their growing protest steps and to neutralize the role of leaders and isolate them from the rest of the prisoners,” a statement by the PFLP said Friday. Ten other prisoners in Megiddo were reportedly placed in solitary confinement for their participation in the strike. IPS authorities have also conducted daily raids of PFLP prison sections, deprived PFLP-members of family visits until further notice, and confiscated their electronic devices, Ma’an stated. The statement also announced that all PFLP-affiliated prisoners engaged in a two-day hunger strike Thursday and Friday, and were developing further “methods of confrontation,” to be announced in the coming days. 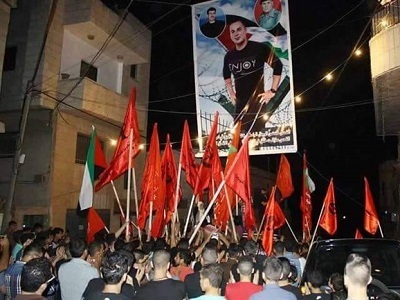 PFLP-member Bilal Kayid was sentenced to six months in administrative detention on June 13, the day he was scheduled to be released after serving a 14-and-a-half year sentence. Since then, the PFLP announced an “open struggle” in protest of the decision, declaring a “state of emergency” for all its members in Israeli prisons. The PFLP Prisoner Branch called the Israeli decision a “serious threat to all Palestinian prisoners that we must confront early before it becomes a systematic policy of the occupation,” in a statement published last week. The statement said that the PFLP’s prison branch was initiating protest measures to continue throughout June and early July, to culminate in an open hunger strike by all PFLP-affiliated prisoners being held by Israel on July 7. Kayid began his own hunger strike on June 13, with reports emerging Thursday that he had begun suffering from exhaustion, fatigue, insomnia, and kidney pain. Ma’an reported that he has been held in a solitary confinement in Israel’s Ramon prison which has been raided and searched on a daily basis since he began his strike. 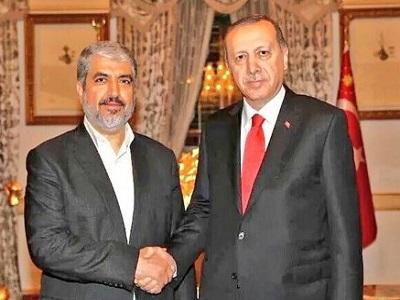 The PFLP announced on Tuesday a further escalation in protest measures in demand of Kayid’s release, while also slamming the International Committee of the Red Cross for exacerbating the struggle of Palestinian prisoners rather than alleviating it. “The ICRC is increasing the burden upon (prisoners) with policies and procedures, including the cuts to family visits, which represent a clear decline of its role in accordance and even collusion with the systematic policy of the occupation,” the PFLP statement said. Meanwhile, an international solidarity movement demanding Kayid’s release has been organized, with demonstrations reportedly being held in the Hague, Athens, Brussels, Vienna, Berlin, Amsterdam, Dublin, Edinburgh, Milan, Torino, and New York City, Ma’an said.